Fact: I am crazy about breakfast. Take me to Whole Foods to peruse the breakfast bar, and we might just be there for an hour, as it sometimes takes me that long to decide what I want. Or I simply opt to get a little bit of everything. I could happily eat breakfast foods every meal of the day. At the grocery store, the cereal aisle is my favorite. Okay, I lied. The baking aisle is my favorite, but cereal is a close second. One of the 100 reasons why I love the weekend is that I am able to make breakfast. Well, more like brunch by the time I make my way into the kitchen. 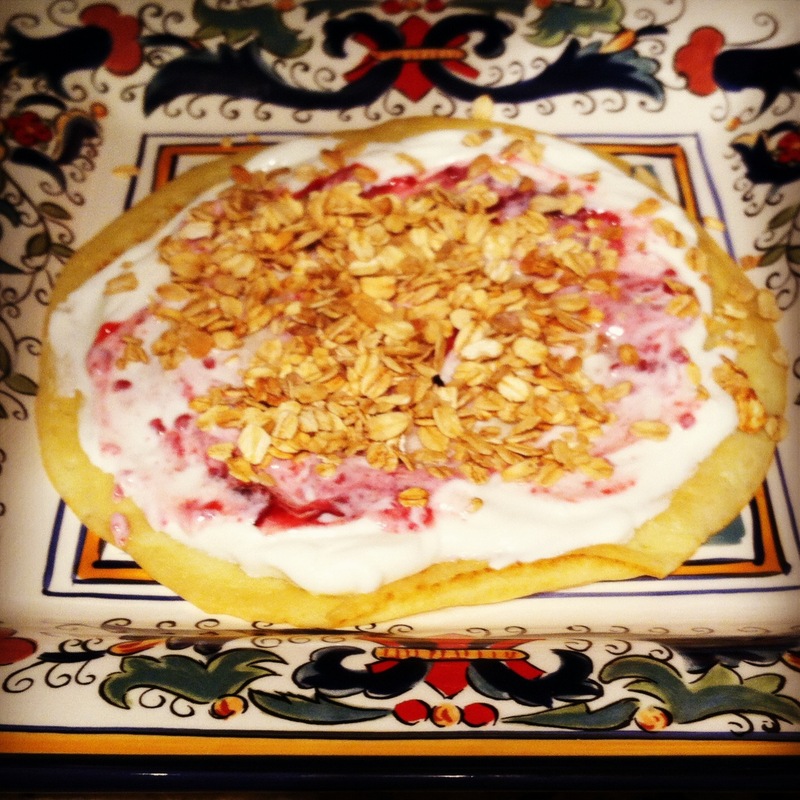 My all-time favorite breakfast, since kindergarten and going strong, is crepes. My recipe, aka, my mom’s recipe for the batter, is so easy. And, if I’m being honest, I’m not one to make use of my measuring cups. I usually guess on these ingredients as I pour them into the vitamix to be blended. Crepes are fun because they can be topped in so many different ways. I make Dan’s with butter and sugar with a spoonful of Nutella on the side. I usually have one like this too, as well as a healthier version, complete with Chobani vanilla yogurt, raspberry jelly, and granola. Reader Question: What is your all-time favorite breakfast!? 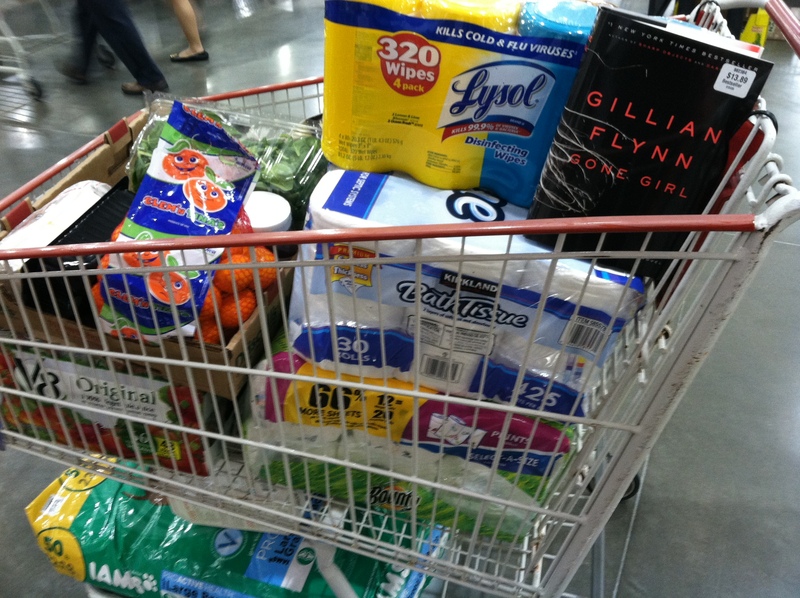 We went back to Costco this week. Aka, my happy place. I kid you not, we had 4 items on our list. One step into the superstore and that list went out the window. Whatever marketing tactics they use, kudos to them. I compare myself to a contestant on ‘Supermarket Sweepstakes’ as I hurry down the aisles and take items off the shelves like I am planning for the ’19 Kids and Counting’ Duggar family to come visit for a month. Of course I am sure I really needed the jumbo bag of chocolate chips, 2 bags of flour, 2 boxes of oatmeal, and the oranges that could feed an entire YMCA soccer league. I was especially excited about 2 of my impulse buys. The first was “Gone Girl.” De had included this in one of her monthly loves lists, and convinced my to buy it as I became that girl, the one trying to navigate the store and text about whether it was worth purchasing. Sorry to the woman that I almost ran into full force. My b. My other favorite purchase of the evening came in the form of chocolate hazlenut spread. 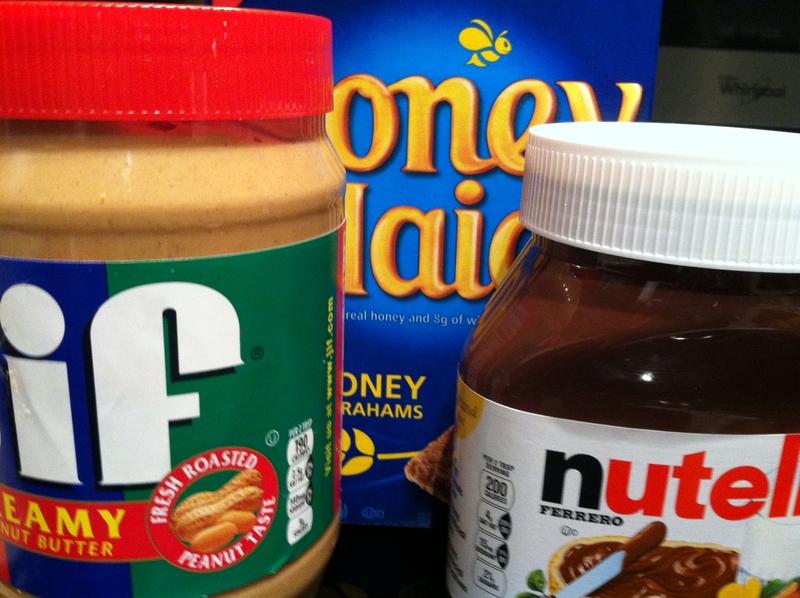 If you haven’t had Nutella, drop whatever you are doing and go buy a container. You think I’m joking. One of my best friends in high school and I used to have this peanut butter, Nutella, graham cracker concoction everyday at lunch. Some things never change. 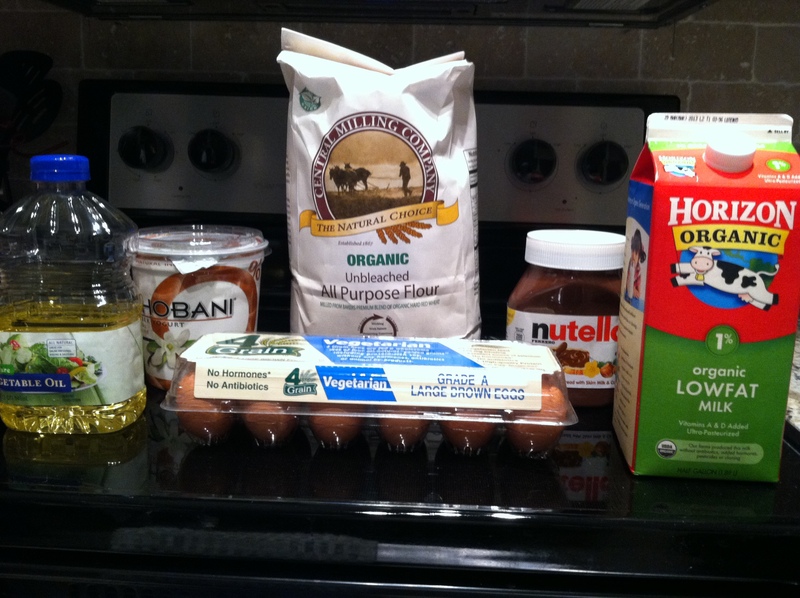 Reader Questions: Where do you do most your grocery shopping? What foods are you loving this week?